Beyond Resistance: The Institutional Church Meets the Postmodern World by John Dorhauer, Chicago: Exploration Press, 2015, 158 pp. Don’t judge this book by its cover. It looks about as dry as can be. It’s not. Don’t judge this book by its font. It’s annoying, yes, but you’ll get over it and the content is worth it. Don’t judge this book by its subtitle. “Postmodern” is an overused, dated term these days, but the much of the content of this book on the state of the church is as contemporary as any I’ve read. John Dorhauer is the newly-elected General Minister and President of the United Church of Christ, and this book lays out his perspective on the current state of decline in the American church. I read it as a clergyperson in the UCC eager to hear his vision. The second chapter argues that the church exists for mission, and much of our current malaise is founded upon our loss of our core sense of mission. However, Dorhauer never defines what he means by mission, and in my experience people hear that word to mean very different things. Does he mean acts of charity, caring for the poor and needy? Does he mean evangelism, converting people to the way of Christ? Does he mean discipleship, forming new followers who will walk in Christ’s way? The way he uses the term throughout the chapter seems to imply that he has only the first definition in mind–acts of charity and justice. If so, I find that deeply disappointing. While I agree that the church should always be about that kind of service and advocacy, our core mission is to build disciples AND build the Kin-dom of God. People don’t come to the church looking to help the poor–they come looking for holy presence and Jesus Christ, and we should be about making that presence known. Service and advocacy are one of the most important ways we do that–but only one. Dorhauer would probably agree with me here, but I was frustrated with the lack of clarity in the chapter, and the way service and advocacy seem to be privileged as *the* mission of the church. It is a frequent critique I have for leaders across our United Church of Christ. The third chapter is titled “Grieving, Believing, Perceiving,” which reminds me immediately of Walter Brueggemann’s excellent book Reality, Grief, Hope, which I have revisited in sermons, conversations and even our Indiana-Kentucky Annual Meeting theme in the last two years. The difference here is that Dorhauer takes on the truth-telling (reality) and grieving with a greater openness, depth and brutal honesty than I have seen anywhere else. It is painful, but also affirming to hear that we are not alone in our struggles. He shares openly about the shrinking opportunities for clergy and the feelings of failure. I felt heard and seen for the first time. Though the truth is depressing, it is liberating to hear it told, especially from the new GMP of the UCC. He gets it. As he moves toward the hopeful–believing and perceiving in his rubric–Dorhauer names the current task in this time of tumultuous change as identifying the core values and practices that cannot change if we are to remain faithful to the Gospel. In his role as GMP, I hope he leads our entire denomination through this kind of rigorous open debate. It is sure to be painful at times, but it is the best ministry we can offer right now, I believe. Chapter four focuses on the difference between Church 2.0 and Church 3.0. As he recognizes, others have written with greater depth on this topic. Dorhauer takes special care to note that this change is not an upgrade or adjustment–it is an entirely new way of being and doing. Chapter five tackles the difficult questions arising around church authority and clergy authorization. He addresses the crumbling model of a seminary-educated clergy, who are trained for a dying church 2.0 at great expense, while recognizing the ongoing need for accountability, oversight and development of new religious leaders for church 3.0. Chapter six repeated the same fundamental problem of this book–using outdated examples or terminology for a concept or content that is actually quite leading edge. The chapter is about metrics and measurement in churches, looking beyond membership and money to the lives we change, the impact we make in our communities, and the ways our mission is accomplished. However, he begins by saying the church should be more like McDonalds (“Over 6 billion served!”), without seeming to recognize that McDonalds is losing money like mad these days, a franchise on a faster downward spiral of unpopularity than the church is. The ideas in the chapter are good–the illustration risks making them look old and irrelevant. Chapters 7-10 turn toward the new expressions of Christianity sprouting up in our midst. He is deeply appreciative of these new Christian communities, but draws a clear boundary around calling them churches–because they would not self-identify that way, nor would a traditional church necessarily recognize them. They are generally small, with flat hierarchies, non-ordained leaders, non-traditional gatherings that don’t resemble formal Christian worship, and exhibit a commitment to openness with regard to Christianity and other faiths, a mingling of diverse ideas. Yet what Dorhauer concludes after his exploration of many of these communities is that they are authentic expressions of Christian community. He offers validation that those newly sprouting Christian expressions are real and true versions of following Jesus, even if they are unlike any church we have yet seen. The final chapter offers helpful guideposts to churches navigating this time of transition. As you can tell if you’ve bothered reading this far, this book provoked a lot of reaction in me. There were things that bothered me and that I would argue against, but those are surface matters like vocabulary and illustrations that made cutting-edge ideas seem unnecessarily dated. The heart of the book, its insights and truth-telling, is a great gift as we wrestle with the rapid changes afoot in the life of the church. This book makes an important contribution to the conversation. If you care about this conversation, I highly recommend it, especially if you are a part of the United Church of Christ. 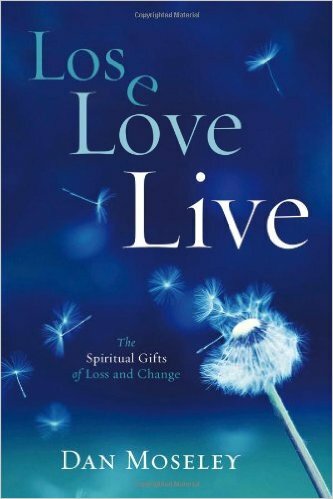 Lose, Love, Live: The Spiritual Gifts of Loss and Change by Dan Moseley, Upper Room Books, 2010, 140 pp. I am using this book to start a Grief & Loss Support Group at my church, and this resource came highly recommended by a friend for that purpose. It was a challenge for me, in some ways, to be reading a book about grief at a time in my life when I am (blessedly) not walking a grief-filled path. I feel inadequate to judge how helpful the book is for those in the midst of a grief journey, because my point of view is somewhat removed. The book itself follows the journey of grief in its many twists and turns. There are chapters that attend to naming the loss, feeling pain, anger, remembering, guilt, forgiving, gratitude, play, practice and becoming new. Each chapter describes what it is like to journey through that particular aspect of grief, and includes stories of diverse people facing different kinds of losses. One of the best features of the book is the “Good Companions” section at the end of each chapter, which describes the kinds of friends and relationships that can best help you when you are experiencing each part of the journey. This book therefore makes an excellent resource for those wishing to offer support and care to loved ones who grieve. While God does not change, our relationships and perceptions of God are nearly guaranteed to fall apart when we grieve. I take strange comfort in that truth-telling. Another section I found especially insightful were his chapters on playing and practicing. Grief doesn’t just strip us of the one we loved, but of our identity in that relationship, forcing us to change who we are. Moseley encourages the deep, transformative work of grief that invites a new way of living and being in response to the loss we experience in our lives. I have found the group discussions so far to be helpful and productive. This could be an excellent resource for a church group or therapy group, since the context is not specifically Christian, although Moseley himself served as a pastor for many years. 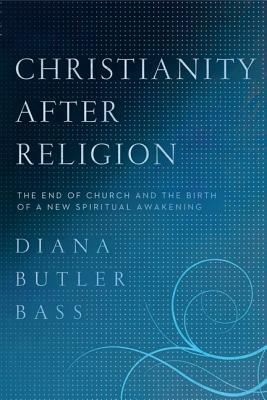 Christianity After Religion: The End of Church and the Birth of a New Spiritual Awakening by Diana Butler Bass, HarperOne, 2012, 294 pp. The ever-wise Diana Butler Bass continues her quest to root out the spiritual lives of contemporary Americans and the ways that local churches are helping, hurting, or just left out of them. Christianity After Religion unfolds the next chapter of the work she began in The Practicing Congregation (2004) and continued in Christianity for the Rest of Us (2006). Those books examined what was happening among mainline congregations in the late 1990s and early 2000s. Christianity After Religion moves beyond what’s gone wrong and what’s going right in churches, and starts to posit what comes next after the rapid upheaval of the last several decades. Bass describes a radical transformation underway in the practice of Christianity, triggered by a crisis in legitimacy. The crisis in legitimacy means that “large numbers of people question basic aspects of meaning and life.” (47) The basic questions–What do I believe? How should I act? Who am I?–are not being answered in a meaningful, satisfactory way by religion as it has been known and practiced. The compelling sense of believing, behaving and belonging has slowly eroded from contemporary Christianity. Bass traces the ways that believing, behaving and belonging have faded, leaving us with a faltering religion and the rise of the “spiritual but not religious” segregation. These have been the exact years of my ministry. I was ordained in the spring of 2001, and I have never known another decade of ministry. This is what it’s always been like. However, when you add it up like Bass does, it looks pretty bleak. The root of religion is “religio,” to reconnect–to claim the “and” of faith and practice. Our attention to behaving must focus on intention (the practices that will intentionally give shape to my life in faith) and imitation (the practices that imitate Jesus and the saints). The work of belonging, then, is the fundamental work of identity. Who am I? Where am I? Who am I in God? Our sense of identity is in flux, moving away from old familial and geographic identifiers and toward a more fluid understanding that “I am my journey.” (178) Our spiritual journey then becomes a sense of discovering who we are in God and through God, in relationship to God and one another. After describing the new questions of believing, behaving and belonging, Bass proclaims that there needs to be a “great reversal.” For the last 500 years, since the Enlightenment and Reformation, we have put belief first in the order of faith, followed by behaving and then belonging. It is time to return to the original order: belong, behave, believe. First we belong to a community, then we take on the practices of faith. The sense of belonging (identity) and behaving (practicing) are what evoke believing. (203-204) The final section of the book outlines this transformation as a Fourth Great Awakening, and draws some of the outlines taking shape. Christianity After Religion is one of the best books I’ve read in a long time. I’ve read dozens of books about the decline of the church, the need for transformation, the causes of the collapse and what we should be doing about it. None of them compare to the depth of insight, wisdom, description and prescription found here. I finished reading it about six weeks ago, and I’m already feeling the need to read it again. It is a book to study, revisit and use as a lens for seeing contemporary ministry and religious life. I think every religious leader should be reading this book, talking about it, and finding ways to interact with it in their ministry. This book contains what may seem like depressing information about the demise of religious life as we’ve known it in our lifetimes. But it rings with hope at every page. There will be death, to be sure–but God holds out the promise for a resurrection, more beautiful and brilliant that we could have imagined. Thank you, Diana Butler Bass, for helping to roll away the stone. 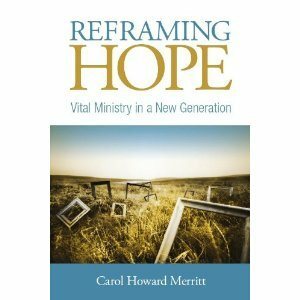 Reframing Hope: Vital Ministry in a New Generation by Carol Howard Merritt, Alban Institute, 2010, 139 pp. This is the follow-up volume to Merritt’s Tribal Church. Tribal Church mapped out the contours of the next generation, describing with insightful detail the cultural promise and pressures facing Generations X and Y. I finished Tribal Church frustrated that it did not offer as much wisdom as I had hoped about how to be engaged in ministry within this new cultural reality. Reframing Hope picked up where Tribal Church left off, and started to paint a picture of ministry in a new era. Merritt’s gift is not a program or a plan of action for ministry. 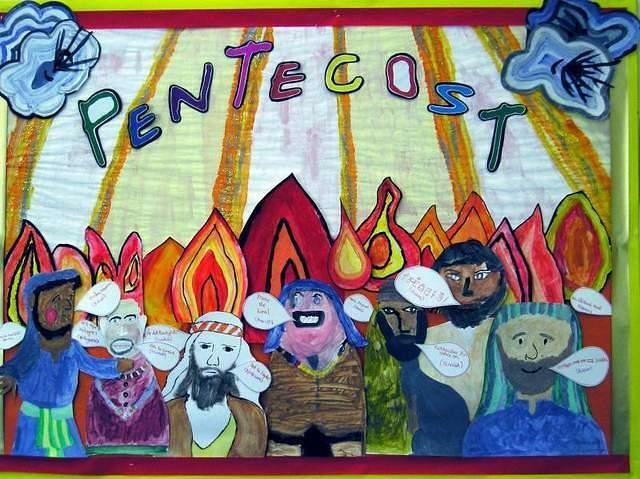 Instead, she is able to draw a portrait, an evocative image of what ministry can look like with a new generation. Instead of spelling out “do this, don’t do that,” she carefully draws out the places that hope is found and Christianity is alive anew. 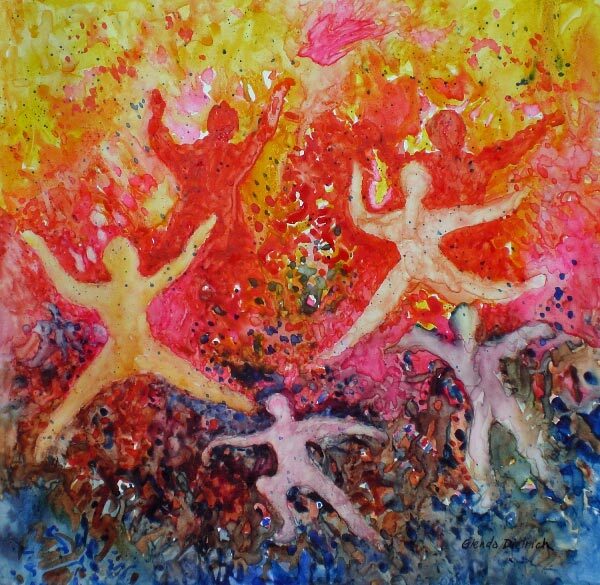 In broad strokes, she points out areas that need attention and reformation: authority, community, means of communication, the way the Gospel is told, activism, connection to creation and spirituality. The picture as a whole is still blurry, because we are still figuring out what this new Christianity looks like, but Merritt provides concrete anecdotes that are hi-res clear. In a new generation, reliable information does not radiate from a central power; rather it moves underground, through networks, streets, relationships and friends. Someone recently asked me where I look for information, insight and new ideas about ministry. I realized that there are very few authors or leaders that I turn to as authorities. Instead, I most admire my young colleagues in ministry, whom I connect with through the 2030 Clergy Network. They are my most reliable source, and they are available to me via social media. Merritt also offers wise words about the impulse toward community. We retain the cynicism that remains wary of institutions, yet we are weary from radical individualism. … A new generation is longing for authentic community, a place that nurtures our spiritual lives and develops deep concern for one another. We look for groups that understand the need for both individual responsibility and communal action. Amen and amen. We realize that we cannot make it on our own, that we need one another, and that life together is richer and more full. Yet we do not turn to institutions to provide ready-made community. We are looking through institutions to build community that is authentic, intense, small and demanding. Merritt’s book maps out the ways the historic church can be meaningful, relevant and life-giving for a new generation. Her reflections are deep and beautifully written, demanding contemplation rather than programming. It asks the church to orient itself in ways that are spiritual but not radical, so it can be a place of welcome and filled with hope. 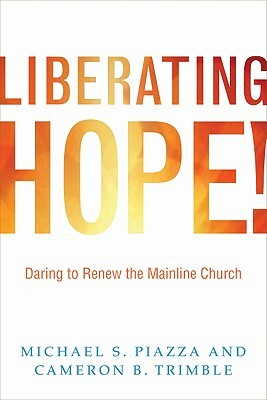 Liberating Hope: Daring to Renew the Mainline Church, by Michael S. Piazza and Cameron B. Trimble, Pilgrim Press, 2011, 230 pp. It has taken me months to finish reading this book, which is not like me at all. I have read and reread chapters, and noticed that sometimes they fly by without impact, and sometimes I immediately act on the content. I think this is a book that is like “just-in-time training.” You need to reach for it at the moment you are preparing to act and change and work on a particular topic. When I started it back during sabbatical, I just couldn’t connect to it when I was away from church leadership. When I tried to read it all the way through like a monograph, I just couldn’t get inspired. Now that I’m back in the groove of transformational church leadership, I was ready and eager to absorb the content and make use of the ideas and information. Piazza and Trimble are the founders of the Center for Progressive Renewal, an inspiring non-profit organization dedicated to helping people start new churches and renew dying ones in the mainline and progressive traditions. Both have extensive experience and a proven track record in starting and renewing. This book is a compilation of their best practices, critical questions, strategies and insights. It is a treasure trove for pastors and church leaders doing the work of congregational growth and transformation. Liberating Hope covers an enormous range of topics—leadership, small groups, stewardship, mission, worship, administration, social media, databases, and more. Unlike many other books, Piazza and Trimble do not offer a formula or program for your church to follow. Instead, they focus on the big questions and important things a growing, thriving church must be doing, then leave the details of what that looks like to you in your own context. For example, in the chapter on worship they emphasize that the experience must be transformational–it must bring people into a real encounter with God that will leave them changed. Worship that is transformational will be authentic, accessible to newcomers, of excellent quality, sensual, touching both head and heart, and it will demand a response. Any church, of any size or style, can aspire to offer that kind of worship. The authors do not offer steps to follow, but questions and measures to help a church improve its effectiveness and enhance its service to God. This book is not new or radical information. What makes it different is the freshness of the material (in response to new media and technology) and the comprehensiveness of the content (every aspect of church life is included). It is a great starting place, foundational text and reference point for any pastor or congregation engaged in birth or renewal. It won’t tell you everything you need to know, but it will help you identify what you need to know, where to find resources, and how to figure things out in your own church. For exactly that reason, I recommend it highly.